Head coach of the Super Eagles, Gernot Rohr, has promised fans that they won’t lose to Iceland in their crucial Group D clash on Friday. Following their 1-0 defeat to Croatia in their first fixture, Nigeria must beat the Scandinavian country, to avoid early exit from the 2018 World Cup. 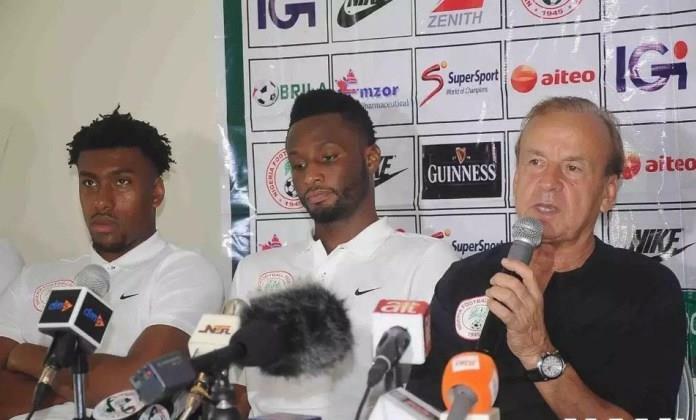 Rohr, speaking to reporters before training on Thursday, however assured that his team will have the upper hand. “We won’t lose to Iceland. I’m not even thinking about what will happen if we lose because we won’t lose the game. “I will prefer if you ask me this question after the game,” Rohr said. The game kicks off 4pm Nigerian time.